Disturbing levels of HEART DRUGS found in drinking water Study after study are showing this “witches brew” of chemicals in the water systems all over the nation. The scientists are trying to play this down, but the long term effect of these drugs are not known. People have never been exposed to drugs like this before. 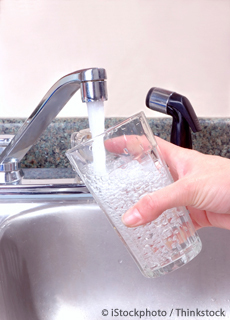 It is best to have a good water filter system to keep these terrible chemicals out of your body. “Traces of prescription drugs have been found in far greater quantities in US drinking water supplies than previously thought, a study has claimed. Heart of the Matter Part 2 – Cholesterol Drug War (Video) The mainline doctors will never give up on this myth. Their thinking is like that of a cultist which I really do think they are. They refuse to think outside their box and of course there are $billions involved. The modern medical system is a money milking machine and keeps them rich. It is evil to keep this system going with keeping people sick and sucking all the money out of them. 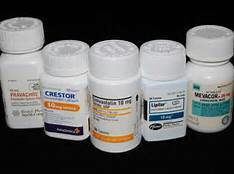 Acid Reflux Drugs Linked to Vitamin Deficiency This has been know for years and only now being made public. What Ritalin is doing to our children’s heads It is really criminal what they are doing to our young. Notice how they zero in on young boys. I think it is part of the plan to take the manliness out of them. Feeling Defeated, Entrapped Is Linked to Anxiety, Depression The remedy for this is the true ministry of Jesus Christ and not the Babylonian’s drugs. The Forgotten Organ – Your Microbiota The gut flora is without a doubt critical to your health. Magnesium—The Missing Link to Better Health This does with calcium and Vitamin D3. The three together are a powerhouse for your health. Irregular Heartbeat Linked to Depression This show that sin wrecks havoc on the body. The ministry of Jesus Christ frees us from depression. Are Alzheimer’s and diabetes the same disease? This link was made years ago and only now is the medical system catching on to it. Exercise ‘significant role’ in reducing risk of dementia, long-term study finds This is a way to stay away from the Babylonian drugs. How ‘Good Cholesterol’ Stops Inflammation This is one of the functions of it the body. The low density is rancid and this causes problems. Landmark Report Links Common Household Chemicals to Human Disease Please make sure that you read this and get rid of the cleaners. Hydrogen peroxide is really the only cleaner that you need.